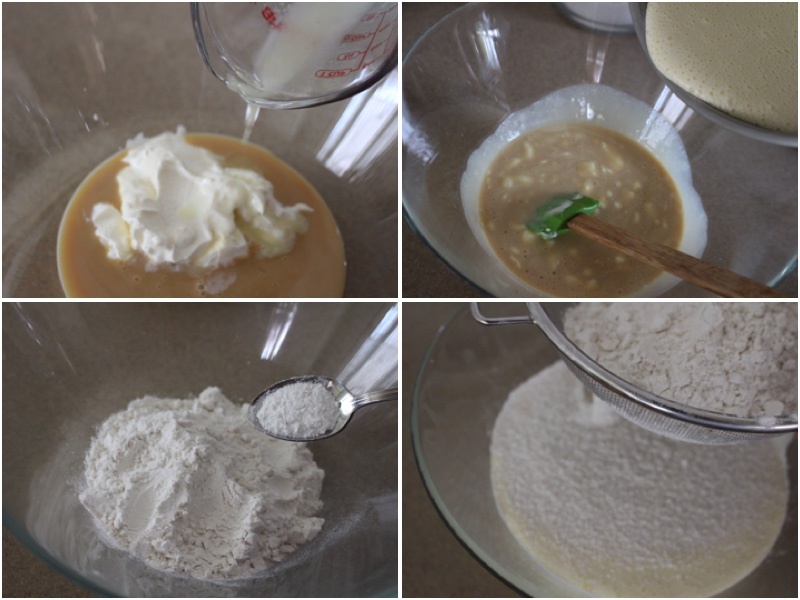 If you are looking for a new, delicious, easy to make, cake recipe to try out – This Ukrainian cake (Золотий Ключик) recipe is definitely a must try for all occasions.The cream, is made from cool whip cream, cream cheese, room temperature butter, and Dulce de leche. The cake comes out very soft and it tastes amazing. I make this cake for weddings, anniversaries, and engagement parties and each time I get positive feedback. Give this recipe a try and let me know how you like it. 2.) In a medium size bowl, add Dulce de leche, sour cream, and baking soda/lemon mixture and mix it all together. 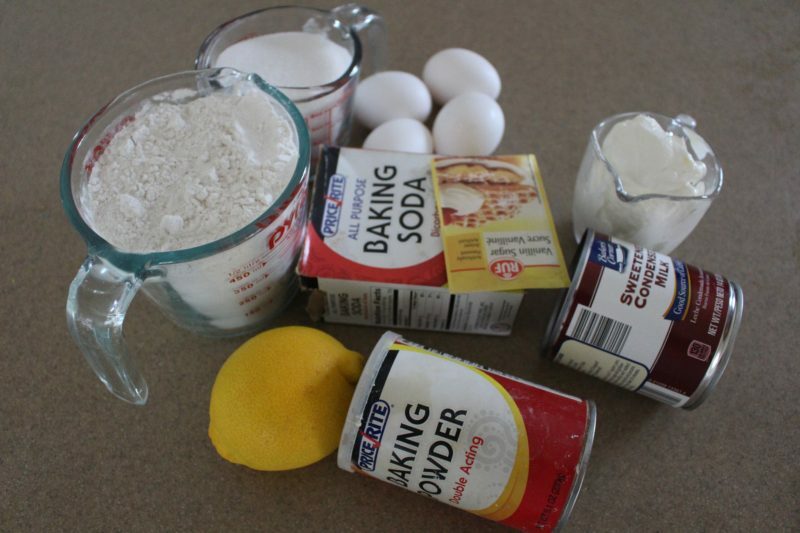 Now you can add the egg’s mixture that you made in the mixer and mix it all together again. In a separate bowl, you will combine flour with baking powder and then sift it into the other bowl as shown above and mix well. 3.) The cake mixture that we just made we will divide into two equal amounts. 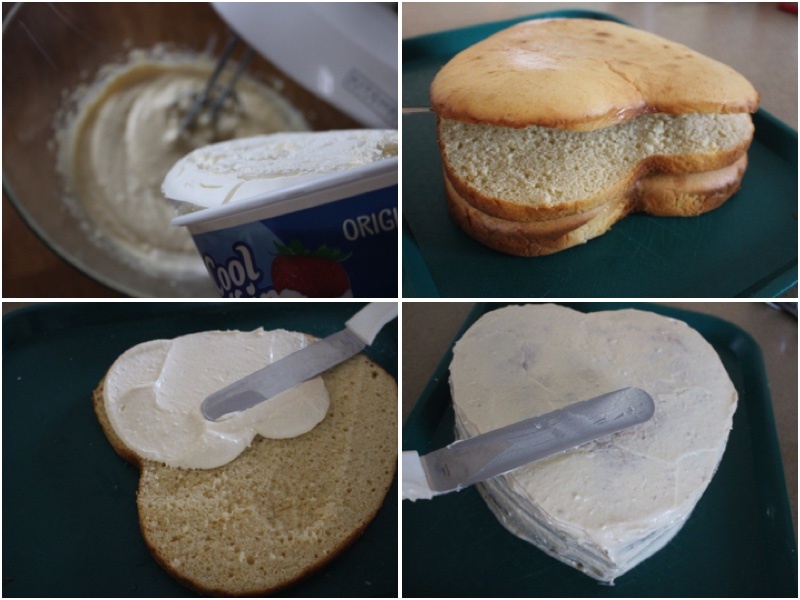 Place foil paper in your heart shaped cake pan and make sure to spray it with baking spray to prevent the cake from sticking. Now you can pour in one of the cake mixtures and bake for 20 minutes at 350 F. After it bakes, you will pour in the other half and bake. In a medium size bowl we will be making the cream for the cake. 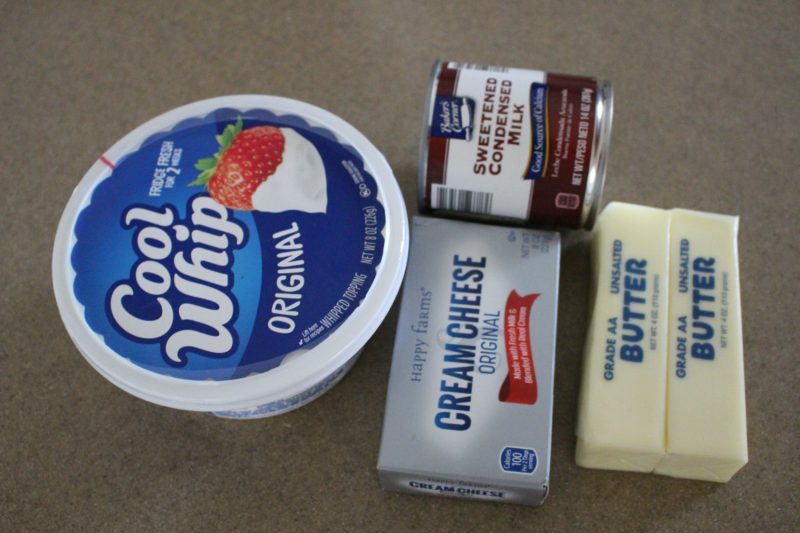 Add cream cheese, Dulce de leche, and room temperature butter and mix with a mixer for about 10 minutes. If you are looking for a new, delicious, easy to make, cake recipe to try out - This Ukrainian cake (Золотий Ключик) recipe is definitely a must try for all occasions.The cream, is made from cool whip cream, cream cheese, room temperature butter, and Dulce de leche. The cake comes out very soft and it tastes amazing. I make this cake for weddings, anniversaries, and engagement parties and each time I get positive feedback. Give this recipe a try and let me know how you like it. In a medium size bowl, add Dulce de leche, sour cream, and baking soda/lemon mixture and mix it all together. 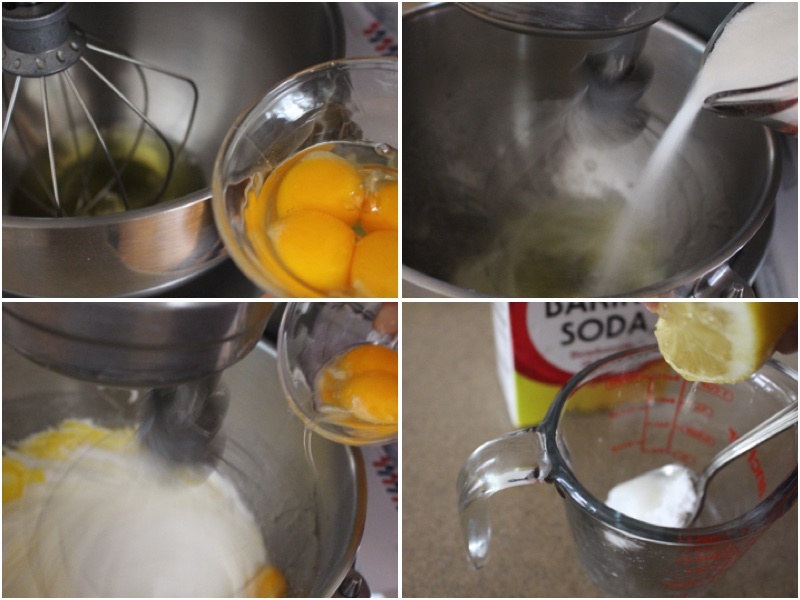 Now you can add the egg's mixture that you made in the mixer and mix it all together again. In a separate bowl, you will combine flour with baking powder and then sift it into the other bowl as shown above and mix well. The cake mixture that we just made we will divide into two equal amounts. 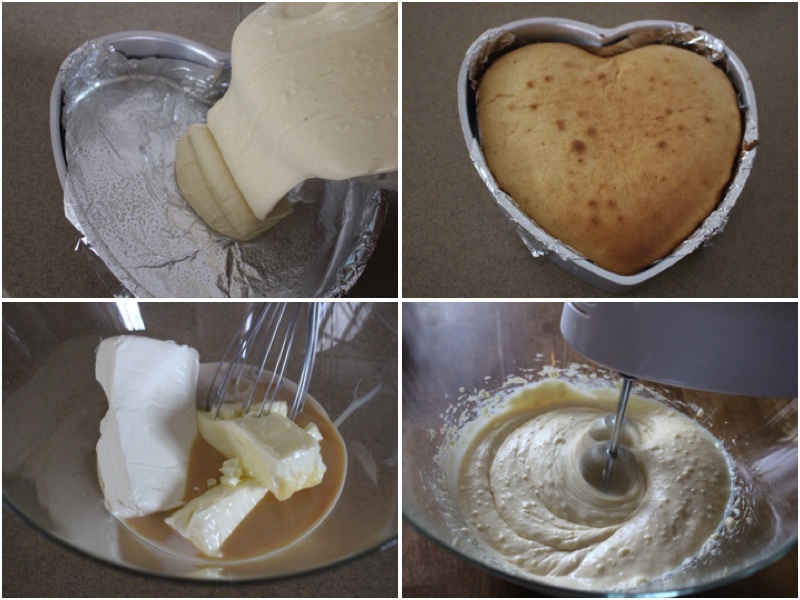 Place foil paper in your heart shaped cake pan and make sure to spray it with baking spray to prevent the cake from sticking. Now you can pour in one of the cake mixtures and bake for 20 minutes at 350 F. After it bakes, you will pour in the other half and bake. 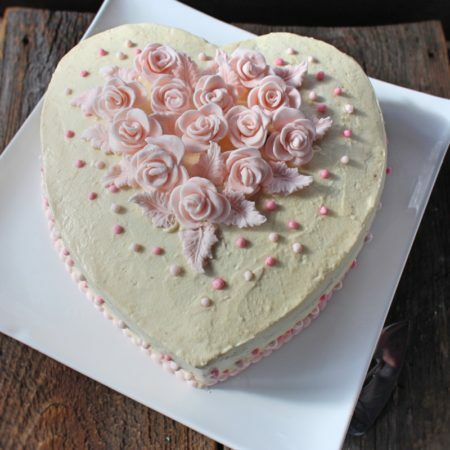 Beautiful cake. 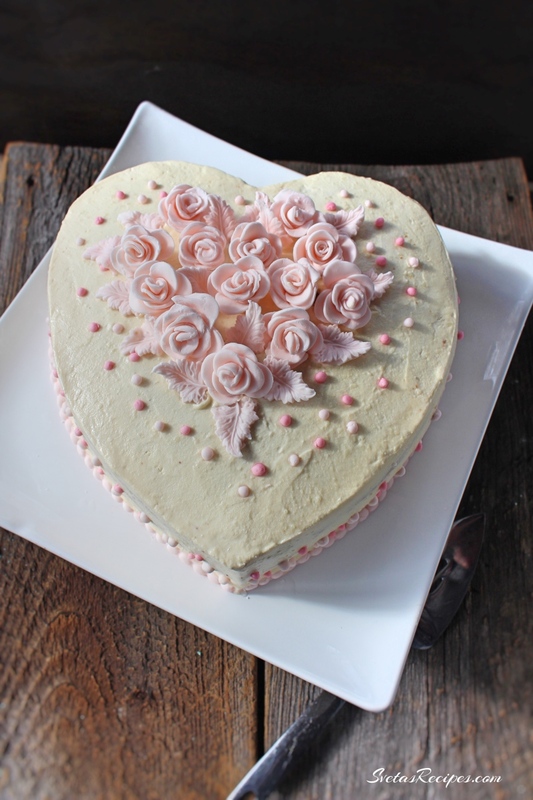 The roses on top of the cake look amazing and just eye catching, do you have a recipe on how to make them? Thank you. I do not have the recipe on the blog though I will be posting it soon.